It’s pretty gaudy, but somebody loved it back in the day! It can be worn off the shoulder, peasant-style, too. There’s nothing expensive about it, with simple workmanship and “cheap” fabrics so it makes me wonder if this was a wartime frock. If not, it was post-war early Fifties. Anyway, it’s fun and the second dress I’ve come across in the past couple of years in this style. Must have been at the back of someone’s closet or basement for a long, long time – just safeguarding those special memories of a dance or party date. Hmmm, you just never know. . . . . . . . . . . . . . . .. . . . . . . . .
Posted on March 24, 2017 by Morgana Martin, the magicvintagespy. 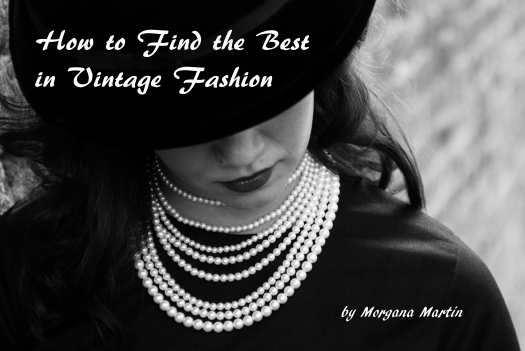 This entry was posted in blogger, bridal, bridesmaid, buy, buying, classic, classic clothing, clothing, custom-made, dance, date, dress, dressy, evening, fashion, film noir, find, formal, girly, gown, guidebook, hand-made, hand-tailored, home-sewn, how to, ladies, magicvintagespy, mid-century, New Look, party, photos, Post-war, Prom, references, retro, rockabilly, shopping, store, stores, swing, true vintage, Uncategorized, vintage, vintage blogger, vintage clothing, vintage expert, WARTIME, wedding party, women's, WWII and tagged '40's, '50's, 1940´s, 1940s, 1950's, 1950s, ´50´s, blogger, bridal, bridesmaid, buy, buying, classic, classic clothing, clothing, custom-made, custom-tailored, dance, date, dress, dressy, evening, fashion, film noir, find, formal, Forties, girly, gown, guidebook, hand-made, hand-tailored, home-sewn, how to, ladies, ladies', magicvintagespy, Magicvintagespy.com, mid-century, New Look, party, photos, Post-war, Prom, references, retro, rockabilly, shopping, shopping tips, shopping-tips, spring, store, stores, swing, true vintage, Uncategorized, vintage, vintage blogger, vintage clothing, vintage expert, WARTIME, wedding party, women's, WWII. Bookmark the permalink.